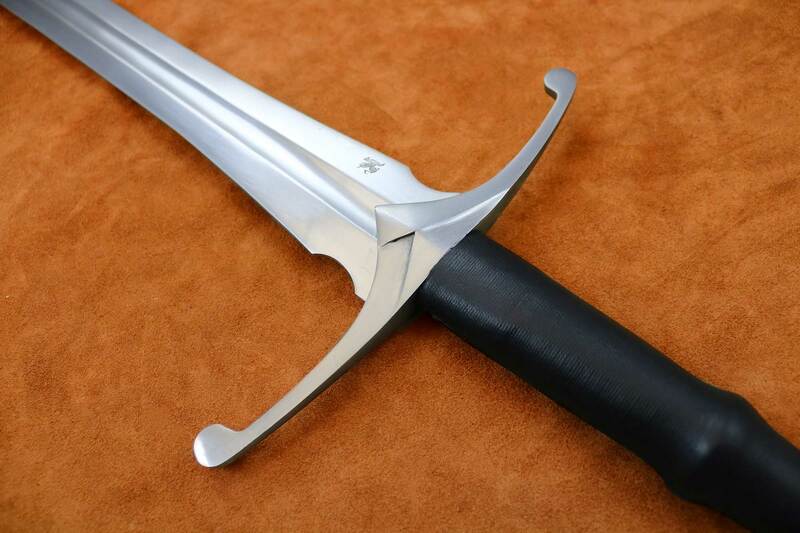 The Fëanor Medieval sword is an inspirational piece based on Tolkien’s creation. In J.R.R. Tolkiens Silmarillion, Fëanor was the most powerful elf who ever lived, so powerful that the dark lord Melkor was afraid of his might. 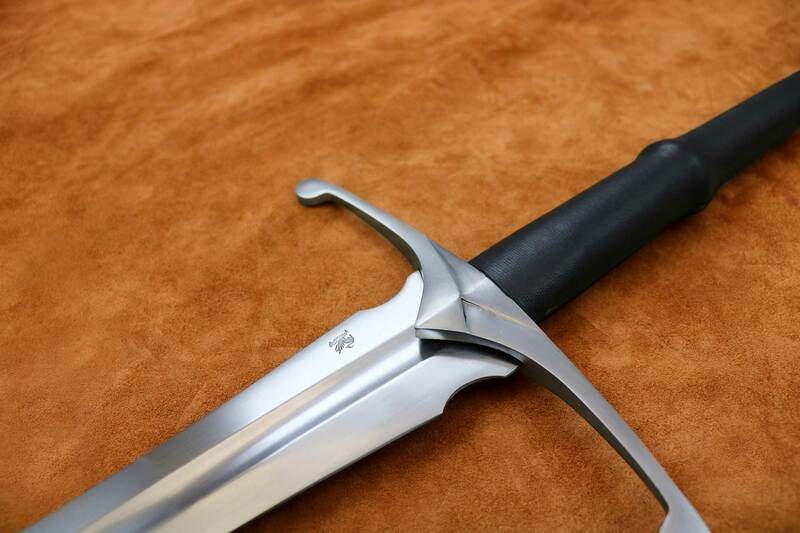 The Fëanor Medieval sword is an inspirational piece based on Tolkien’s creation. In J.R.R. Tolkiens Silmarillion, Fëanor was the most powerful elf who ever lived, so powerful that the dark lord Melkor was afraid of his might. Fëanor (“Spirit of Fire” in Sindarian) was one of the Noldor, the elves who lived in Valinor under the light of the two Trees (Laurelin and Telperion) that existed before the Sun and the Moon. He was such a mighty craftsman of jewels that he was able to place the light of the Trees into the three Silmarils, gems of such surpassing beauty that the wars fought over them changed the face of the world forever. 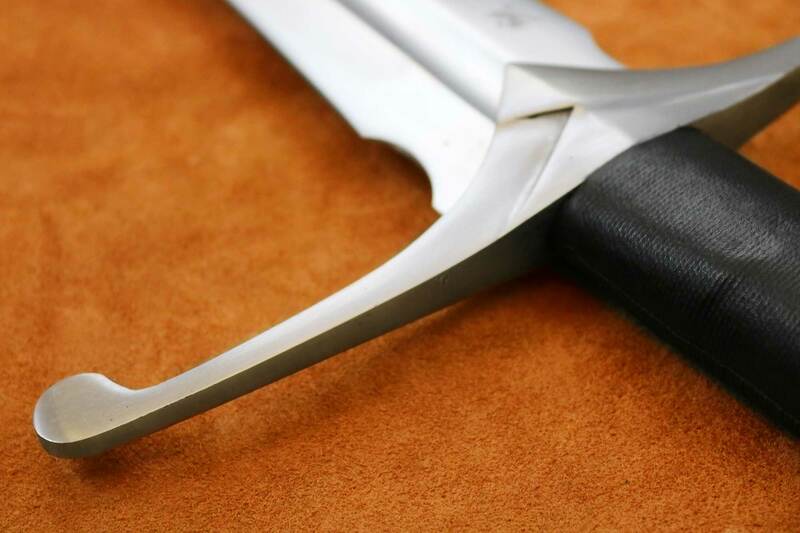 Fëanor also was the first of the elves to forge weapons, and created the first battle ready swords that were used by elves to slay their own kin. Because of these deeds much evil entered into the world. 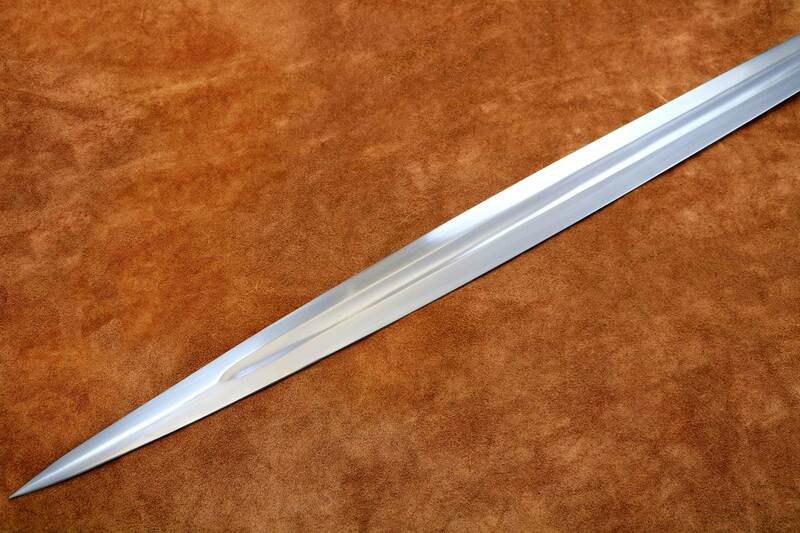 I ordered this sword through Kult of Athena, but I wanted to post a review here, as well, as I am absolutely in love with this sword. I have been since you introduced it. Usually when I see a sword I like, I’ll lust after it for a little while, but then the infatuation phase ends and the lust fades and it becomes something that would be nice to have, as opposed to something I must have, but my desire for this sword never wavered. Upon receiving it I saw that everything was straight and tight. It is far more beautiful in person than it is in pictures, absolutely gorgeous. Point of balance on mine is six inches from the guard, which is perfectly acceptable for a longsword. According to my scale, it weighs 3 pounds, 6 ounces, an excellent weight for a longsword. I subjected it to the British proof test and it easily passed. Everything remained straight and tight. I ordered the unsharpened version. About 30 minutes with an Accusharp got it paper cutting sharp, which as sharp as I want my sword blades to be. What really blew me away, aside from its beauty, is its handling. 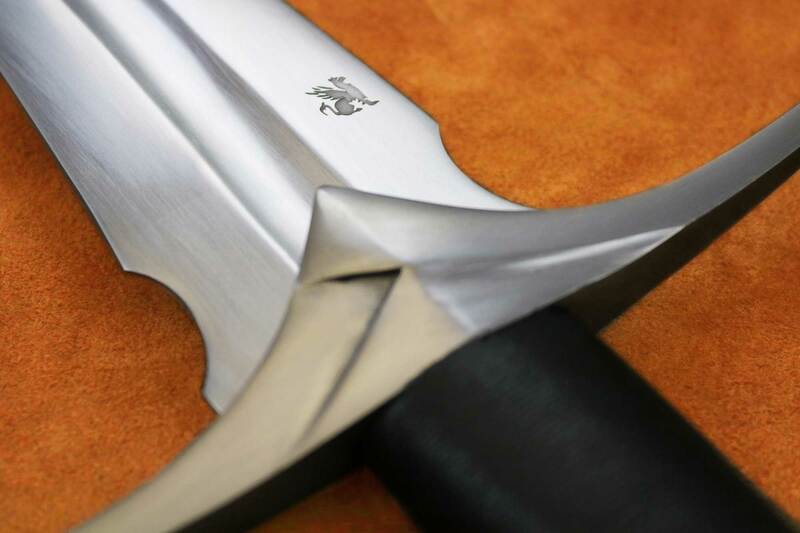 The leaf blade design originated in the Bronze Age and continued into the Iron Age short swords. 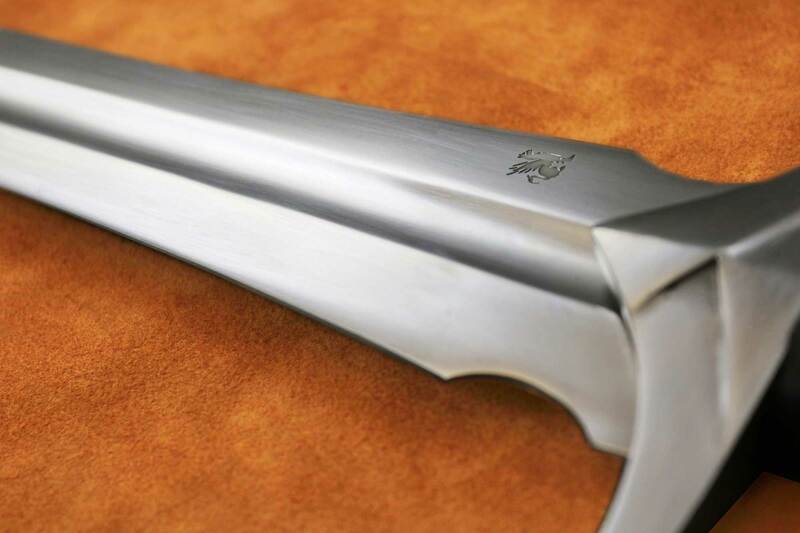 The purpose of the design is to impart greater striking power to short blades. One would expect a leaf-bladed longsword to be blade heavy, which is probably why they never existed in history, but that is decidedly not the case here. The sword is very responsive, its light weight making it very quick and agile, yet the leaf blade also enables it to strike with authority, while the long hilt affords excellent control. 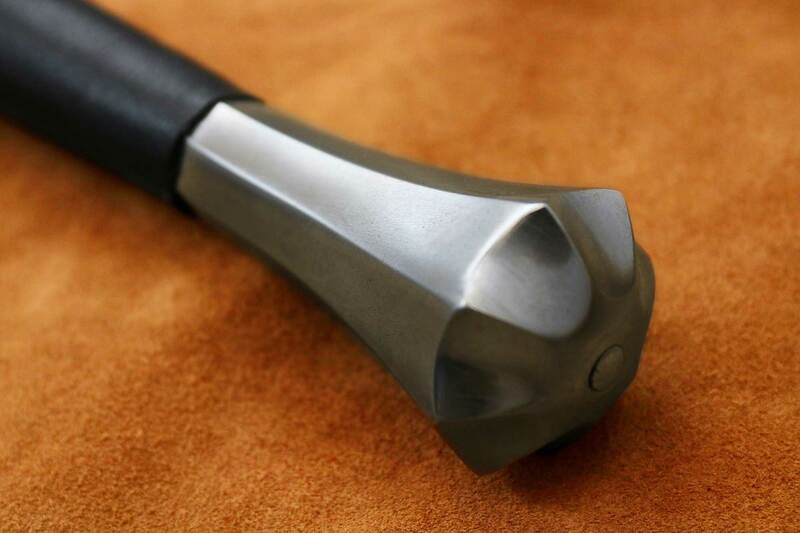 Bottom line – this is a superb sword. 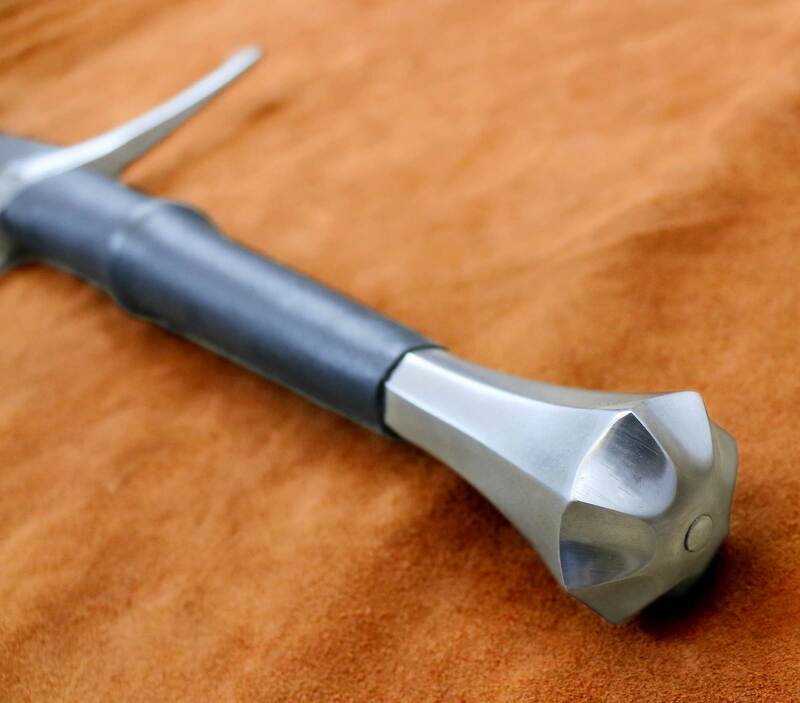 I’ve always wanted a functional version of Glamdring, and even though Darksword named this one for Feanor, I named mine Glamdring, and she is definitely worthy of the title “Foe Hammer.” I would have total confidence in this sword in battle.